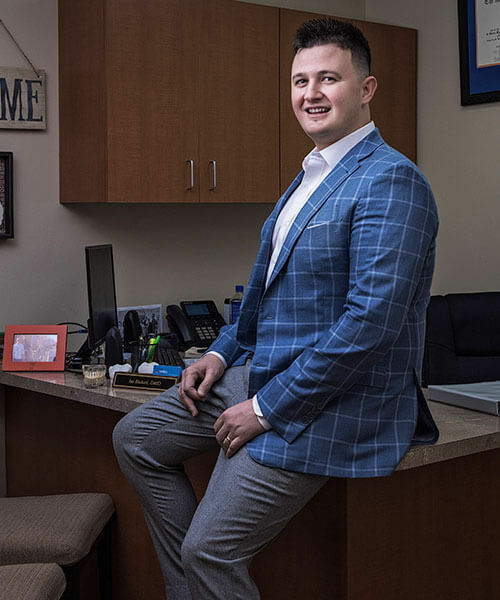 Dr. Bushati was born in Albania and moved to Pinellas County at the age of 19. Dr. Bushati obtained a Bachelors in Science degree in Biomedical Science with double Minors in Public Health and Physics from the University of South Florida in 2007. Following undergraduate studies, Dr. Bushati attended the University of Florida College of Dentistry where he obtained his D.M.D degree in 2014. Dr. Bushati is presently married to his wife, Christina, an attorney who represents healthcare practitioners, including dentists in the Tampa Bay Area. Together they happily reside in downtown St. Petersburg. Dr. Bushati is dedicated to being at the forefront of dentistry and has completed over 400 hours of continuous education courses focusing on implant dentistry, cosmetic restorations, endodontics and oral surgery. Dr. Bushati is also the incoming President of the Tampa Bay Academy of General Dentistry. His hobbies outside of Dentistry include traveling, cooking, trying local new restaurants with his wife, exercising, Gator athletics, and above all soccer.